This is my first tube amp, so i can only rate it up against my solid state amp,and it is a 300watt 8ohm american one. with my turntable, and two way ScanSpeak speakers, it give me the sound i was hoping it would do. Playing Nick Drake -bryter layter, the vocal of Nick is forward and nice sounding, piano are in my room, and guitar sounds right i think, hearing the metal strings. Bass and drums, is not big power, but more tight and in tune with the other instruments and vokal. the Music Angel. I think it gives very much good sound, for little money. 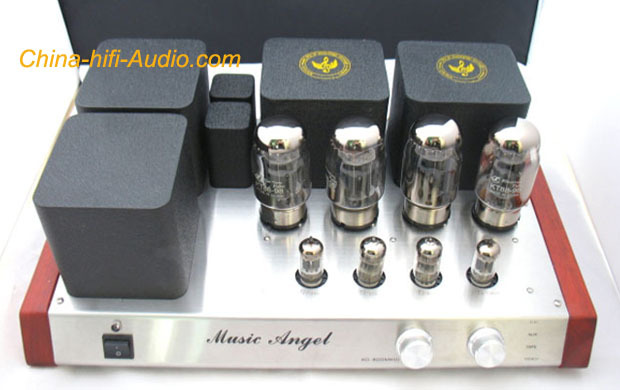 And it is a heavy and well build, good looking amp.